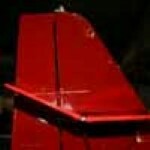 Wings Forum • View topic - Power of UL POWER AERO ENGINES ? I seriously doubt the output figures given by the company. Max output is supposed to be 95 - 97hp. It happens to be around 79 - 85hp after various investigations. Is it a widely spread engine in the USA ? Are there any owners in this forum, and if so, are you happy with it ? Re: Power of UL POWER AERO ENGINES ? How did determine this lower hp rating ? How is the FADC system on the engine; does it work effectively ? Is it possible that the company is still having initial start up issues with this engine? I know a person who has changed his Jabiru 2200 80 hp for 260ifr UL 100 hp. He found that performance was only slightly higher. He then measured the power with a craft method*: It was determined that the power was very less. Then, he ordered a workshop to measure the maximum power with a bench power. The verdict was: 89 hp instead of 100 hp. As you can see the max power of the UL POWER 260i that is announced to be 95hp (97hp on new publications) was found at 2700 rpm for 79 hp. If this is not true, we'll certainly have some explanations from the belgian firm UL POWER AERO ENGINE. It appears you have an issue with UL Power, care to elaborate? As to that table showing power claims and dyno power via a 3rd party, that was quite slanted. Giving a measured power at the prop shaft is fine, but allowing the Rotax to run at its rpm of peak hp while limiting the rpm of the UL to 600 rpm below its peak hp of 3300 rpm, is bogus. I'm interested in the UL engines so doing due diligence by researching via google search brought me to this forum. Does anyone have anything to offer on UL Power engine experience? No experience to offer, but a comment on the 'bogus' spin. Are you going to run a prop that operates efficiently at 3300 rpm? Low prop speed is the magic bullet used by Rotax (and all other reduction-drive engines, like Sauer where that chart came from.) UL, Jabiru, Corvair all have the problem of producing rated power only at high speeds which require small props in order to keep the tip speed subsonic. That means a 60-64" prop. If you have a small airframe that can get out of the way of the stream tube of such a prop, fine. 79 hp at 2700 rpm because less power at higer rpm. Noboby has something to offer on UL Power engine experience because nobody even in Europe wants to buy such a low powerfull engine.